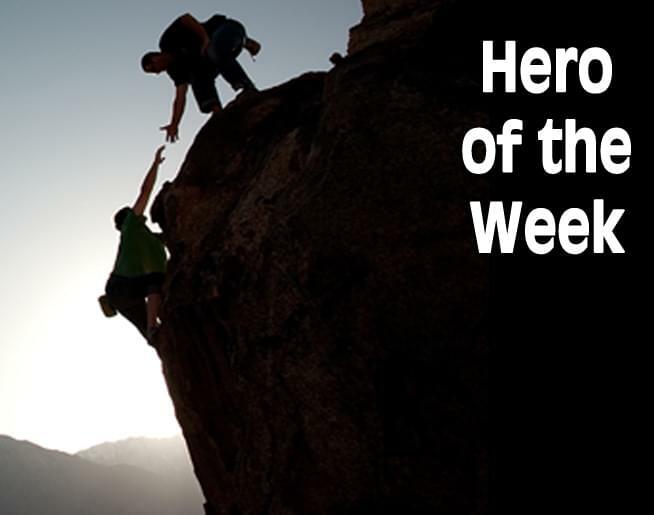 Find out how you can nominate a “Hero of the Week” at the bottom of the page. This week, we’d like to recognize rancher Justin Downs, out of Montana, who was able to rescue his injured neighbor. The snow in Yellowstone County, Montana, had reached 17 inches and prevented emergency vehicles from getting to Justin’s fellow rancher. The fire department reached out to Justin, knowing his ranch was the closest, and they asked if he could get through to his neighbor and help them out. Justin was able to fire up his tractor and make it to the road where he picked up a medic from the emergency team. Then, he continued on through the snow about two more miles to the injured man. It was estimated that it took some 40 minutes to reach the man and take him back to the road where first responders were standing by. Justin then had to turn back and pick up the medic and make that same trip. Yellowstone County Sheriff Mike Linder said that the man was too hurt to drive himself. And, he added that in bad weather conditions, they often rely on fellow ranchers to help out. For more, check out this story. So, thanks to Justin Downs for making that trek and helping your neighbor out. We salute you as this week’s Kidde Hero!! !